Not-so-fun fact: 90% of systemic diseases show early signs in the mouth. But good news: Floss Bar will be visiting our office on Wednesday, October 31st & Friday, November 2nd from 10AM - 5PM in Pine Conference Room to provide cleanings, whitenings, x-rays, and virtual dental assessments. 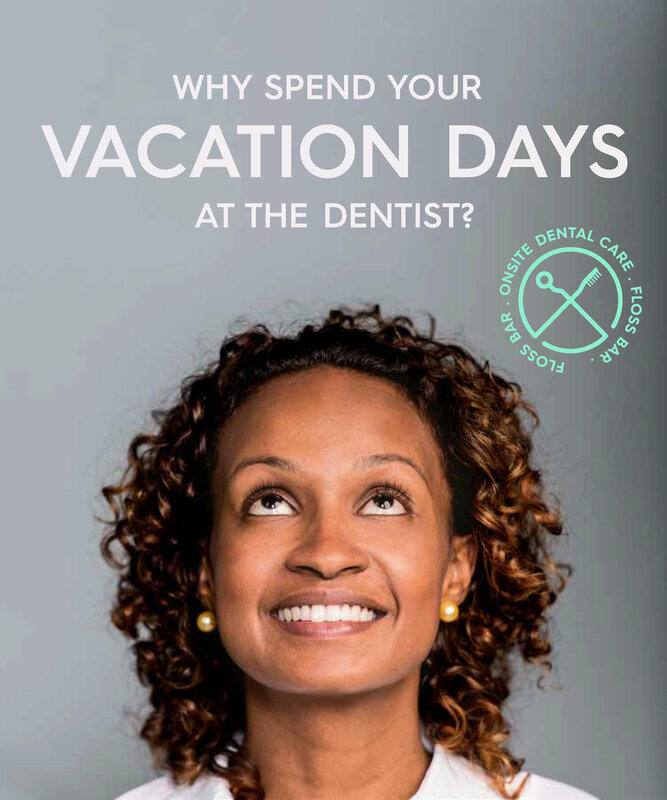 Yep—they’re literally bringing preventative dental care to us, which means less precious lunch hours spent at the dentist’s office! Floss Bar accepts most major insurance carriers (Metlife, Cigna, Delta, Guardian, Blue Cross Blue Shield, and Aetna PPO), and offers thoughtful, affordable pricing for our folks without insurance. Have questions about how Floss Bar works? Want to see what’s going on inside your mouth? Just email them at team@theflossbar.com. Spots will fill up quickly and space is limited! Check out the availabilities and book your appointment here.